When is a good time to start outsourcing HR services? When do companies typically look to outsource HR functions? When managers are beginning to spend more of their time on non-revenue-generating HR activities, it’s time to consider alternatives. A full-time HR person may not be necessary, which is why outsourcing makes perfect financial sense. Maybe your company is in a growth phase and needs to rapidly hire. Tap into the expertise of a professional who can help you take your company to the next level by recruiting and retaining top talent. How can outsourcing HR services benefit my company? Lots of ways! The skills and knowledge of an outsourced HR professional eliminate the overhead that comes with a full-time employee. 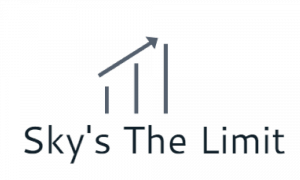 Businesses in every industry and any size can benefit from Sky’s The Limit’s solutions. We allow your company to focus on what you know how to do best. Individual employees and managers benefit from customized training, leading to a more confident and competent workforce. Can I choose which services that I want to outsource? We are proud to be to offer customizable solutions to meet the individual needs of your company. As a client of Sky’s The Limit, you are able to contract for only the services that you explicitly need. Looking for something else? Ask us anything by contacting us here. Helping your company reach its full potential.